In 1968, a disillusioned and heartbroken Lillian Carlson left Atlanta after the assassination of Martin Luther King. She found meaning in the hearts of orphaned African children and cobbled together her own small orphanage in the Rift Valley alongside the lush forests of Rwanda. 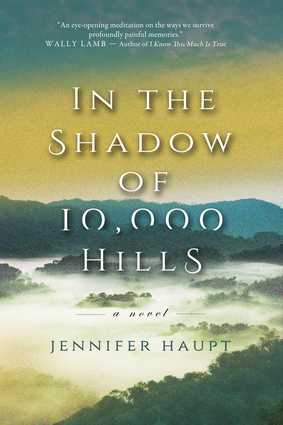 Three decades later, in New York City, Rachel Shepherd, lost and heartbroken herself, embarks on a journey to find the father who abandoned her as a young child, determined to solve the enigma of Henry Shepherd, a now-famous photographer. When an online search turns up a clue to his whereabouts, Rachel travels to Rwanda to connect with an unsuspecting and uncooperative Lillian. While Rachel tries to unravel the mystery of her father's disappearance, she finds unexpected allies in an ex-pat doctor running from his past and a young Tutsi woman who lived through a profound experience alongside her father. Set against the backdrop of a country grieving and trying to heal after a devastating civil war, follow the intertwining stories of three women who discover something unexpected: grace when there can be no forgiveness.